The efficiency of your air compressor comes down to the quality of the materials, as well as the size of the motor. But most of the time, you don't even think about these key components. When operating an air compressor, only two things come to mind: the air output and the noise level. To keep sufficient air flowing with as little noise as possible, the compressor pump has to be low-RPM at all times. 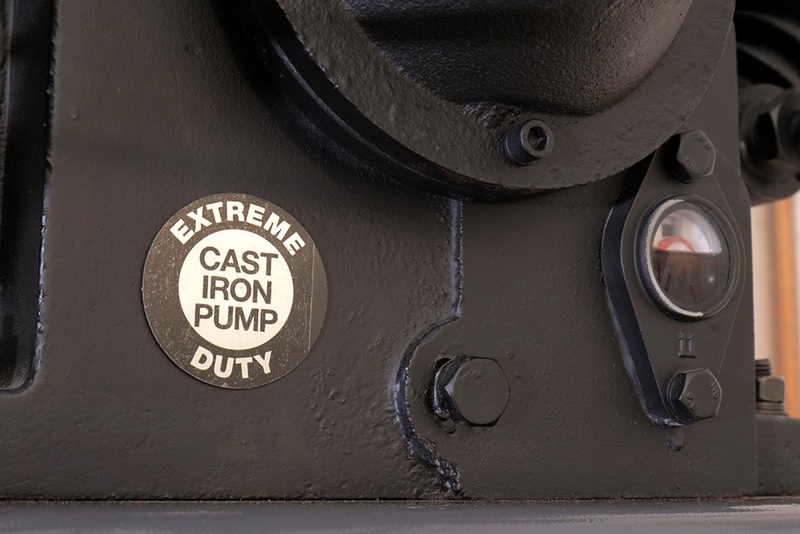 Combined with massive pistons and a powerful motor, our extra-quiet pumps are perfect for heavy-duty use in industrial shops. It's how we keep the decibel levels lower than many other similarly sized compressors. Other brands will advertise a "low-RPM motor," which really doesn't cut it as far as sound is concerned. It's the pump design—much more than the motor—that that really controls the sound level. 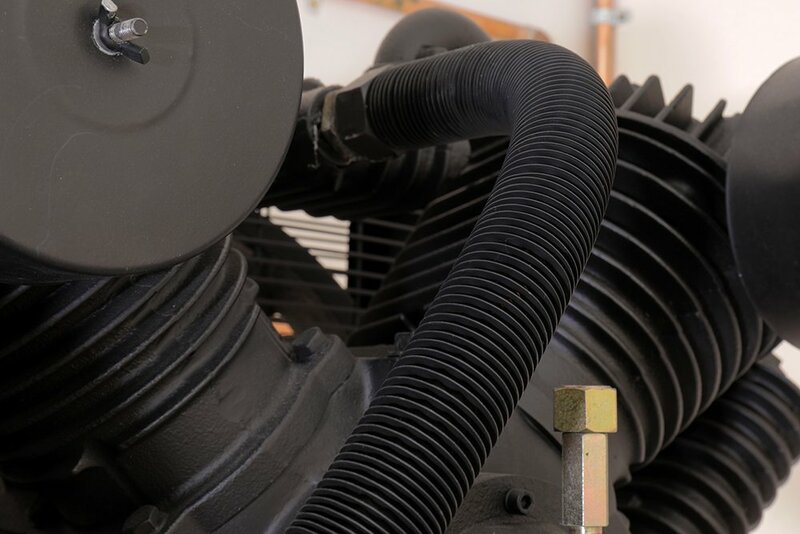 The motor will churn and make a bit of noise, yes, but the air being pumped in creates that loud popping sound, and on older or lesser-made air compressors, it can be really annoying to work around. Even if you have a small garage, BendPak's 75dB or less air compressors are no louder than a household vacuum cleaner. Protect your ears as much as your equipment with BendPak! What Makes a Rotary Screw Air Compressor Different? 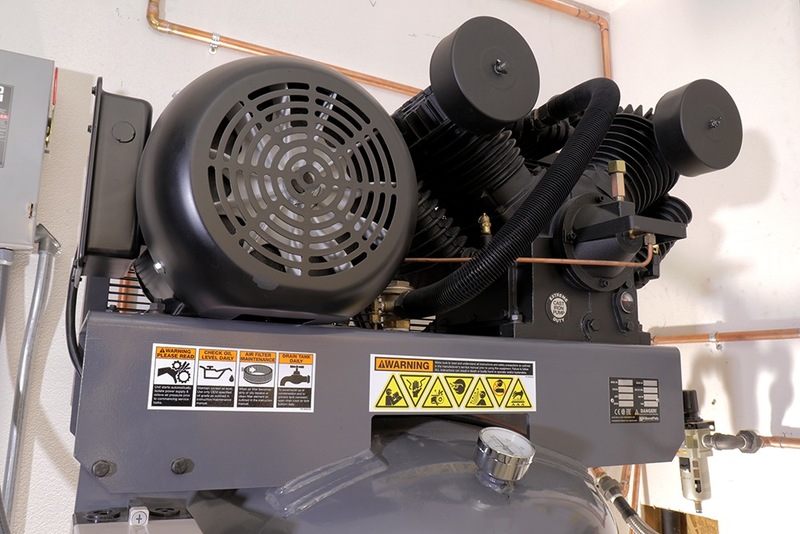 Rotary screw air compressors are the gold standard for busy shops. They're made for 100% continuous duty, so unlike reciprocating compressors, they don't need to take breaks to recharge. Rotary screw units are also known to keep shop air cleaner and operate at lower temperatures. They require less maintenance, which techs love, and they are significantly quieter. The sound output is perhaps the most attractive feature for many because it means no more shouting over each other in the shop. The upfront cost of a rotary screw is usually more than a reciprocating model, but the long-term savings and improved shop environment just might be enough to make it worth your while.